Continental: puncture protection or all-out racer? Recently I posted an in-depth review of the Continental GP4000s after they appeared on a wicked 35% discount on Wiggle. I’ve also just posted an in-depth review of the Continental Ultra Gatorskin… now with Chain Reaction doing the honours with a tasty 30% discount. These two tyres may have the same manufacturer but they are very much designed with different purposes in mind. As a long-term user of both the GP4000s and Gatorskins, I decided to put together this overview to help you decide which tyre is right for you. It’s important to bear in mind that you can get the Gatorskin in wider sizes, but if you stick to matching widths, the supple racing construction of the GP4000s gives it the edge in sheer ride quality. A wide Gatorskin will absorb more road chatter, but you lose the superb grip of Continental’s Black Chilli compound – particularly noticeable when the road gets greasy. Continental’s Gatorskins are designed to provide respectable speed with an emphasis on toughness, so as you’d expect they’re much more likely to go the distance than the GP4000s. 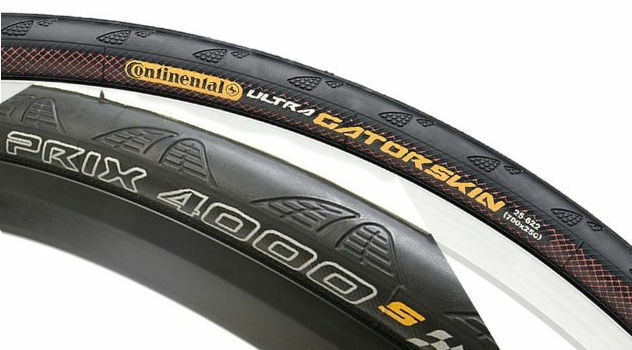 Both tyres perform well when new, although the GP4000s is lacking the sidewall protection of the Gatorskin. Ultimately the thin racing tread on the GP4000s wears out sooner than the Gatorskins, however, and when that happens, it’s time for a puncturefest! Let’s be completely honest here – the grams separating the 205g GP4000s from the 260g Gatorskin won’t make an appreciable difference to you, regardless of the fact that it is rotating weight. 50g is just not a significant component of your power-to-weight ratio given that the mass of rider plus bike for the average reader of this site is probably going on for 100,000g (100kg). The superior construction of the GP4000s gives it a more supple and lively ride, but don’t confuse that for the effect of weight alone. The Gatorskin is the clear winner here, with a tough breaker strip and rim to rim sidewall protection. The GP4000s does feature a Vectran fibre breaker layer which does an excellent job defending the tyre from unwanted penetration, but at the end of the day, it is a race tyre and it’s not designed to spend time amongst fields of broken glass. If your route is at all rough, then hedging against sidewall damage or a blowout with the Gatorskins is certainly an option. You can take your chances with a pure race tyre (and I do, regularly) but don’t blame them if they get torn up. There’s no question that Continental hit the ball out of the park with the GP4000s – a recipe that has remained unchanged for years but still performs at the highest level when it comes to the all-important figure of rolling resistance. The Gatorskin is a conscious effort to make a tyre with respectable turn of speed yet offering the puncture protection many riders demand. It’s no secret that this comes at a cost both in comfort and in speed versus an all-out racing tyre, and so it is in practice. This may be a bit of a silly category since Continental are hardly known for making great looking tyres (just ones that perform well). Ultimately however, the GP4000s does look a bit more the part with its silver print – to me. Talk about eye of the beholder! Not that cycling has ever been about looks, right? 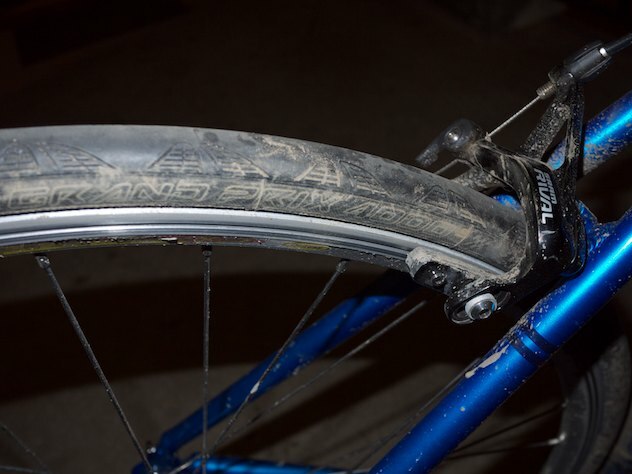 The fact that you’re even considering the Gatorskin (rather than a real heavy duty tyre like a Schwalbe Marathon) suggests you are pretty interested in how fast you can make your bike go. If you want a supple, nimble, rapid bike with reasonable puncture resistance the GP4000s has your name all over it. It has enough puncture protection to keep you smiling so long as you’re discerning about where you ride it – not through the local tip, please! While the Gatorskin does have superior protective properties, for me this isn’t enough to offset the difference in feel between the two tyres. I’d rather have a pair of GP4000s for going fast and a pair of Marathons for steamrollering through town than one pair of Gatorskins that still left me a bit worried about punctures and a bit down on speed at the same time. Looking for a good discount? Continental GP4000s II: Wiggle have a 35% discount while Chain Reaction are doing 33% off. Continental Gatorskin: Wiggle have a 25% discount while Chain Reaction are doing 30% off. 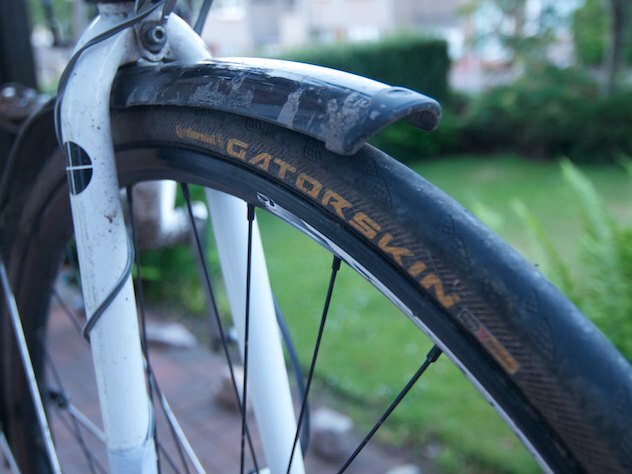 Been running the Gatorskins (25s) on my road bike for a while now without issue now. I know what I’m getting when the time comes to replace them 😉 Good to see the GP4000s is available in sizes up to 28.
what do you think about the traction/wet weather grip of these two tyres? Brendan, the GP4000s is what you want if that’s an important factor. The Gatorskins are average, but the Black Chilli compound is top stuff. There is the option of the GP 4 seasons (a tougher carcass than the GP4000s but the same tread material) if you want the middle ground. Hey Dave, was just googling this exact comparison – and your website came up! Just what I needed – i’ll be getting Continental GP4000s II. Thanks mate and hope your well.